Sony players are by far the easiest Laserdisc players to setup and people who use DAPHNE seem to prefer Sony laserdisc players over other choices. For the Sony players, you'll need a standard null-modem cable or a regular serial cable with a null modem adapter. They can be purchased at Radio Shack. 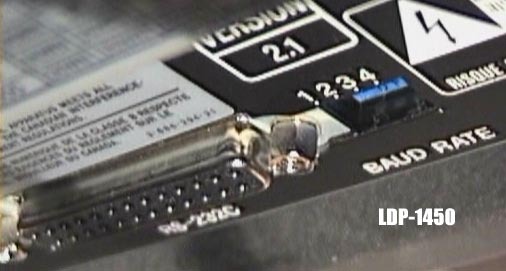 One end of the cable should have a male 25-pin RS-232 type connector to connect to the player. 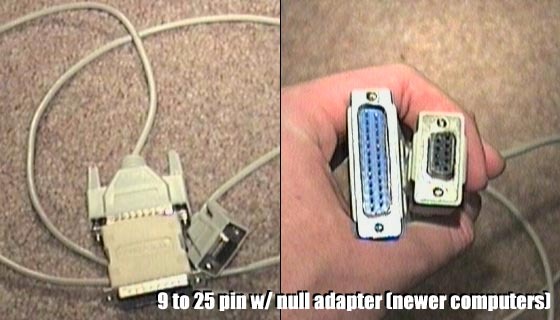 While older computers have a 25 pin serial port, most newer ones only have 9-pin serial ports. Make sure you buy the right cable and/or adapters for your rig! You also will need to make sure the dip switches in the back of your player are set to operate at 9600 baud (or 4800 if you really want to). A Sony player usually includes a diagram on the back that shows how to set the dip switches properly. This page was last modified on 2 May 2007, at 20:07.